Lets start with the concept of the box. The idea is that you are sent several raw natural ingredients along with a list of possible ways to mix and match and use these ingredients for haircare and skincare. Now you might ask me, how or why is this special when you can just go out and get those same ingredients and do it yourself? Well here is thing, if I was the kind of person who would go out and hunt for pure organic ingredients and DIY masks myself, I probably would not be opting to buy this subscription box. But let's admit it, we are lazy. We want everything neatly wrapped and delivered at our doorstep, which is exactly what Blend It Raw offers in a box covered with handmade paper. 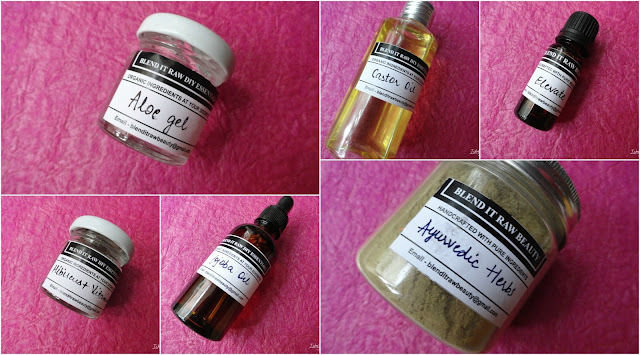 Every month for a price of 1199INR you get a set of pure natural ingredients along with a list of ways to DIY them and use them for your skin and hair care neatly packed and delivered to you. Moreover, rather than buying just 2 or 3 products for the price of 1199INR, you get raw ingredients which you can combine in multiple ways, so its like getting multiple products for the same price. This month's box had 6 ingredients and 6 ways in which I can mix them and use them. They also have a 3 month subscription plan, priced at 3300INR, which is what I have opted for. Why 3 months? Honestly it is only for you guys. I know that a lot of you will be wanting to know how the service is and how the products are. 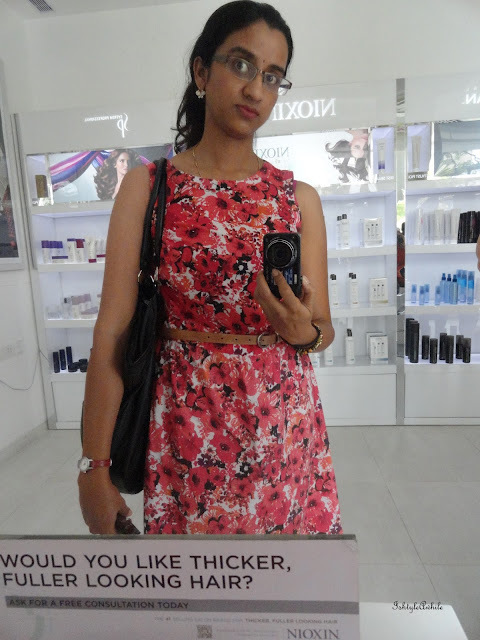 I felt like giving just a one month review would not do any justice to the brand or to you. It is like using a body lotion one time and then commenting on how good or bad it is. Hence the 3 month subscription to get a complete feel about the entire concept and give you a much more detailed article about it. 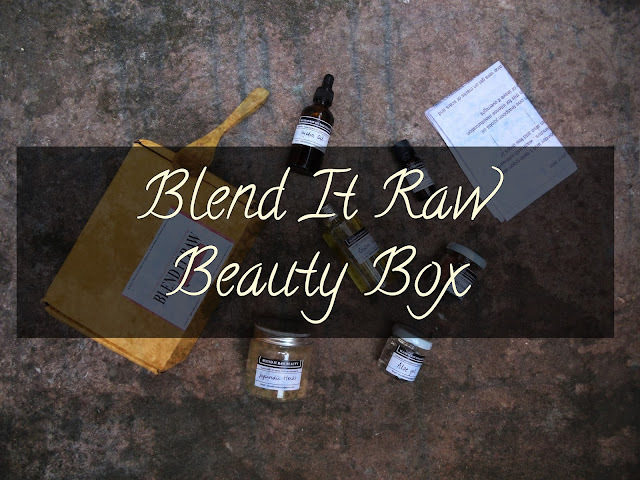 Before we get into the ingredients that came in the Blend It Raw Beauty Box for this month, I just wanted to tell you that this service was started by Aarushi who blogs at Glitter Naturally. I am definitely giving her a thumbs up for coming up with this novel idea because I love supporting bloggers in their ventures, I mean after all that's what #GirlLove is all about right ? 6) Ayurvedic herbs- a mix of some essential herbs for hair care. 7) A list of recipes. Right. Well I think you might still be able to place the order for the January box. You can check with them either on Facebook or Instagram. So what do you think about this subscription box? Is it something you would cater to? Let me know in the comments section. Meanwhile I will keep testing out their DIYs and keep you posted on my favourites. Make sure to follow me on Instagram stories and Snapchat (Id is krupaln)for the latest updates. P.S I hear the February box is all about putting your best face forward.